My latest trawl around for spare parts... Would any of you helpful guys have any of the following items going spare perchance? * Boot inner container (plastic corrugated inner bit). 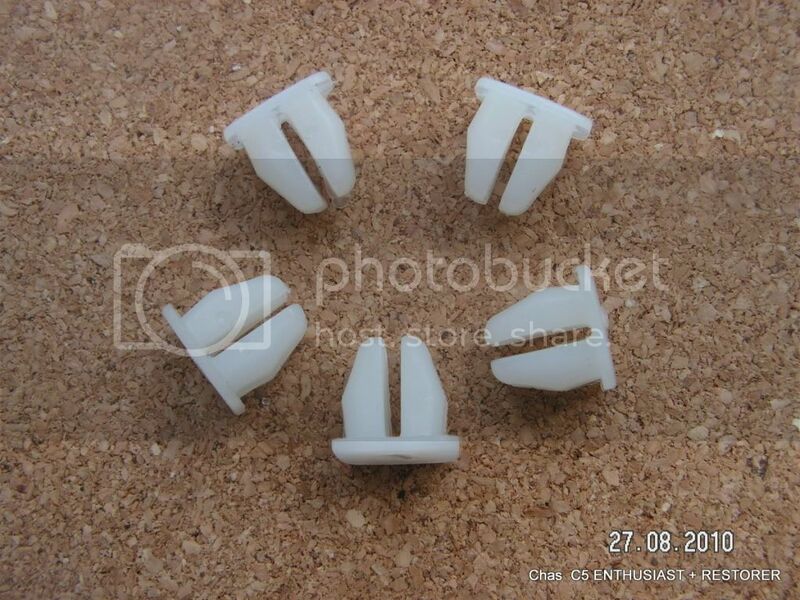 * Plastic 'U' retaining clip to stop boot hinges popping out (I have one but need another). * 2 x plastic 'top hat' grommets to plug the holes at the top of the seat back (above the A frame). * Front wheel cover (posted in another thread but I'm consolidating everything here). * Set of mirrors - used ones are fine as long as they have the brackets & bolts. * 1 x plastic clip which fits into the rear of the frame and allows the control box to be screwed to it. Boot clips and your top hats are OK from me. Hi, for the in-chassis plastic mounting clips, look at Moss Plastics web-site, then order a couple of samples ,like I did! Excellent... That looks close enough! Really struggling with this now... I tried ordering a bag of these off ebay (the 1st item, not the Land Rover one), but they are way too small and almost fall inside the hole. I think the holes in the chassis are around 9-10mm whereas the biggest lokut size I can find is around 7mm. Oh well, have to keep searching! Anyone know if the Land Rover ones are any bigger?